On April 21, 2016, the capital of Belarus will become a meeting point for smart investment and quality ideas as it hosts Venture Day Minsk – a one-day conference followed by a 48-hour Clean&Health Tech Hackathon. The concept for this year’s event – Technology for a Healthy Future – wasn’t an accidental choice. This year the world, and especially Eastern Europe, will commemorate 30 years of Chernobyl disaster. The conference will bring together best health and wellness experts, ecologists and green activists, engineers, and startup enthusiasts. The aim is to shift society’s focus from a consumption-based approach to a sustainability-based one by introducing smart technology and innovative IT solutions. Prominent speakers from companies like Microsoft, Google, Wayra Academy, infogr.am, Unity Technologies, Bel.biz, startups GiveVision & Play DXTR will fly in to share their expertise with the Belarusian startup community. Almaz Capital and Wayra Accelerator, London, have already confirmed their participation. 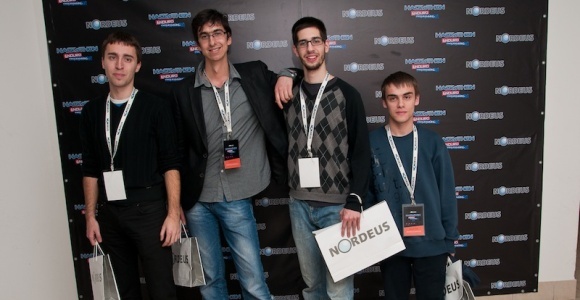 For more info, please visit www.venturedayminsk.com or join the Facebook page.